Periods are such a pain in the a*$. Whenever it's that time of the month I literally just want to lay in bed and not move. Not sure if everyone's the same or it's just me. But my cramps are the WORST. Whenever it comes I swear I just wanna stab myself in the tummy. My cramps hurt SO BADLY. have you had times when you just run out of pads? are just not prepared for your period? Last month, my period came almost a week earlier AND THANK GOD MY PSLOVE PACKAGE ARRIVED JUST IN TIME. 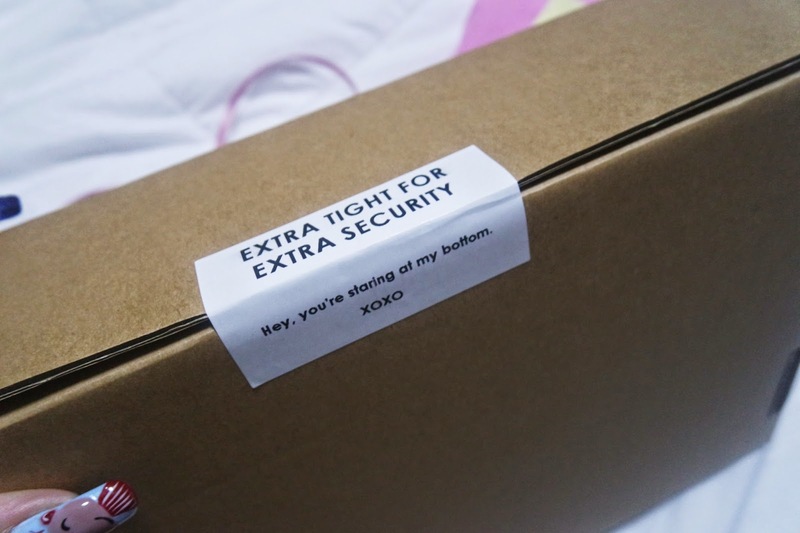 Exactly on the day my package arrived, my period came. HOW DO THEY KNOW WHEN MY PERIOD IS/WAS GOING TO START?! Today, I'm going to be introducing you to my life period saver! Look at the sticker used to seal the box! I found this quite funny! Haha! 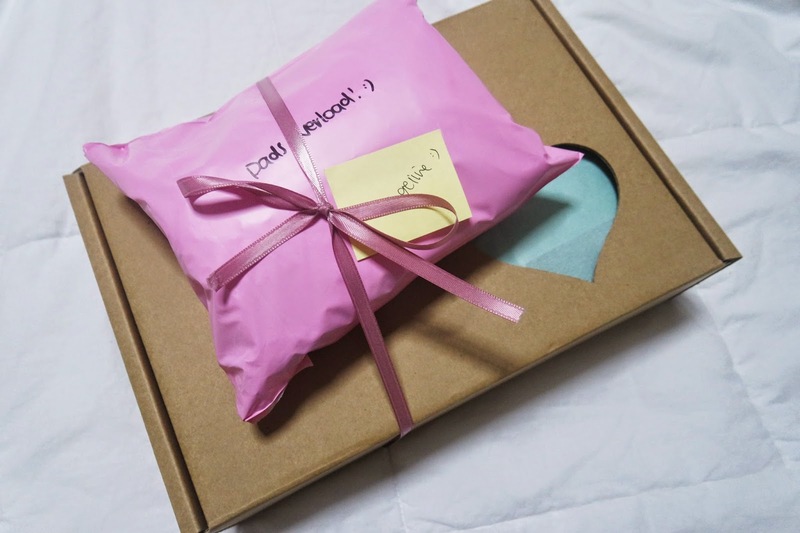 I was so surprised at the amount of things and goodies I found inside when I opened the package. Their newest edition to the care package is the MENSTRUHEAT. And dare I tell you, IT IS GODSENT. Menstruheat was conceptualized by the founder of PSLOVE.CO to fight cramp monsters that haunt her every month. She wanted an all-natural, effective and non-intrusive remedy to replace taking pink pills and thus, Menstruheat was born. I used it during one of the days while I was having terrible cramps and boy, did I feel so much better! Not even kidding. Like I mentioned, I have always had terrible cramps and I always make hot milo/hot chocolate for myself to feel better (But tbh, it has never been of much help) or take panadol (pink pills). This time, I felt so much better I even had the mood to munch on some of the goodies they provided! Which fyi, taste really good too. If you notice, there are a number of cards in the pictures (mostly on the left side). Those cards tells you what each and every goodie is for. From the tea, to the chocolates and biscuits. 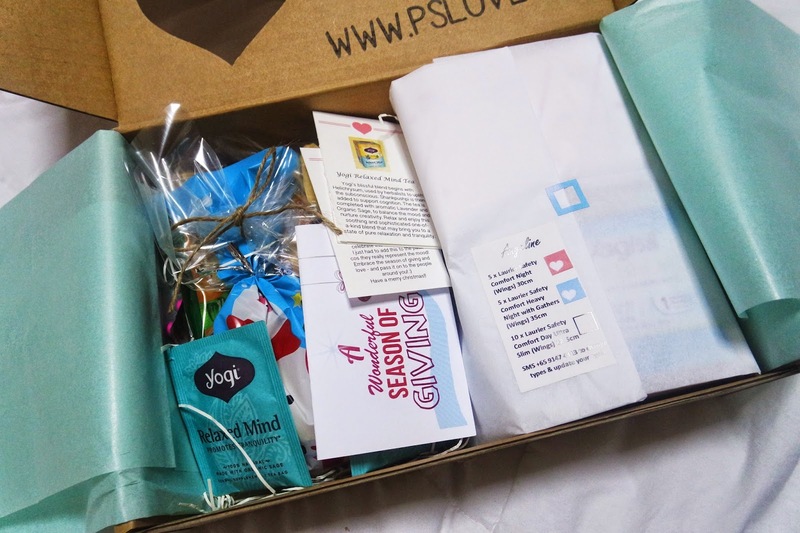 You can tell how much thought is put into each and every care package at PSLOVE.COM. and I no longer need to head out and shop for em' - WHY NOT? PLUS YOU GET COMPLIMENTARY GOODIES!? 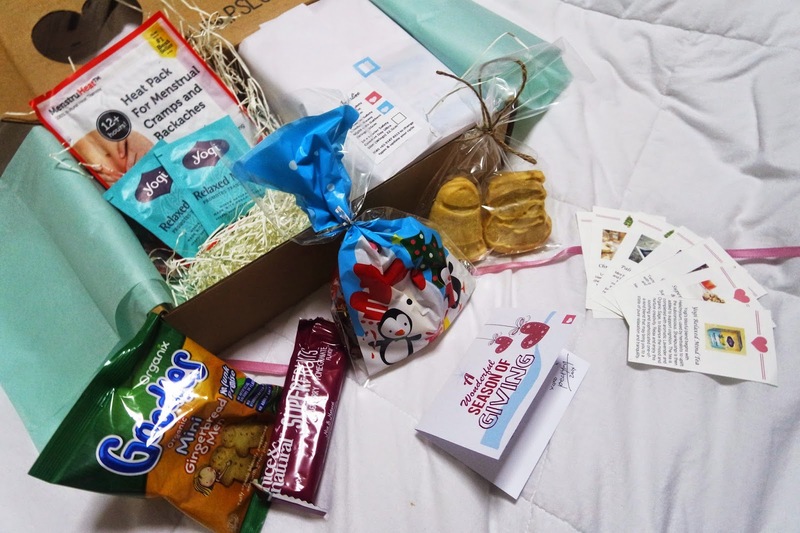 Head over to https://pslove.co/now to find out more about their Period Care Packages.